67 suites and studios - each equipped with self-catering facilities as well as the technology demanded by today's discerning traveller. 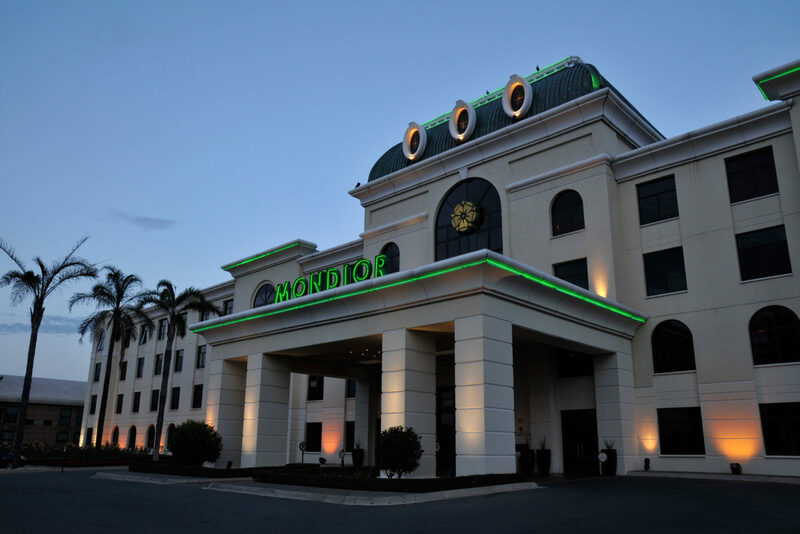 The 4-star Mondior hotel is conveniently situated in the business district of Gaborone. 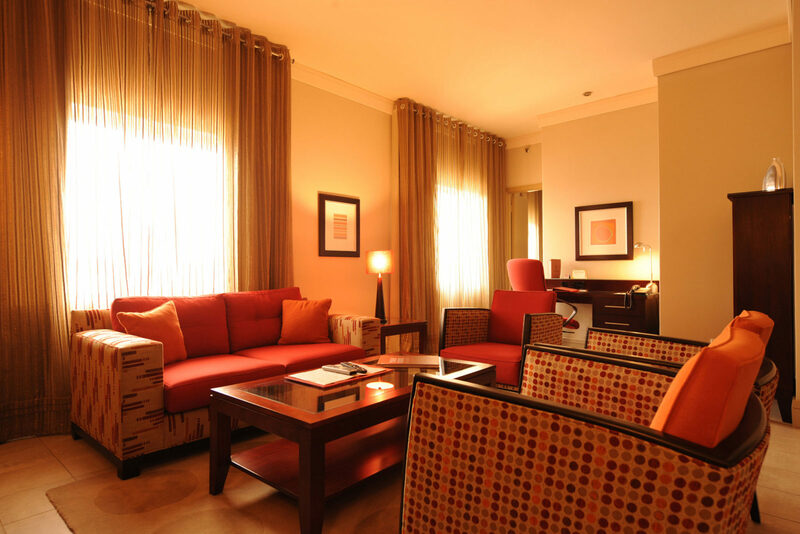 It offers 67 suites and studios – each equipped with self-catering facilities as well as the technology demanded by today’s discerning business traveller. All areas have wireless internet access (Wi-Fi). 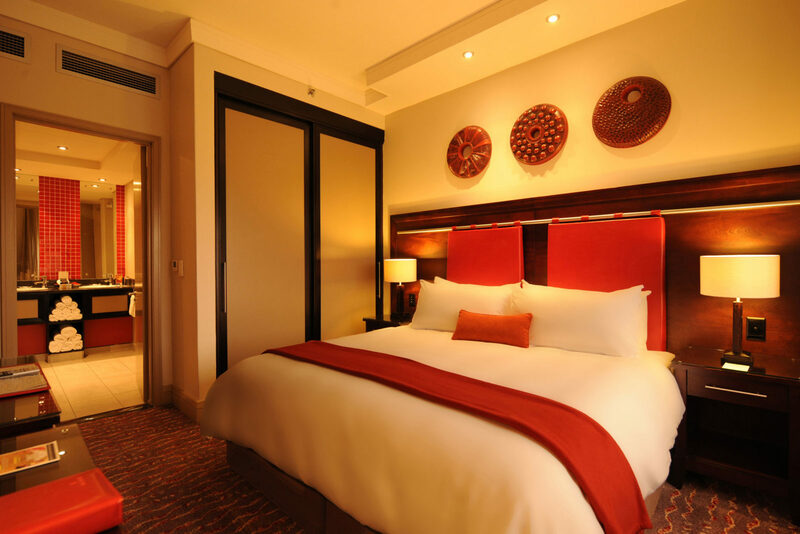 The charm of the hotel lies in its unique African ‘chic’ style that exudes a welcoming atmosphere. 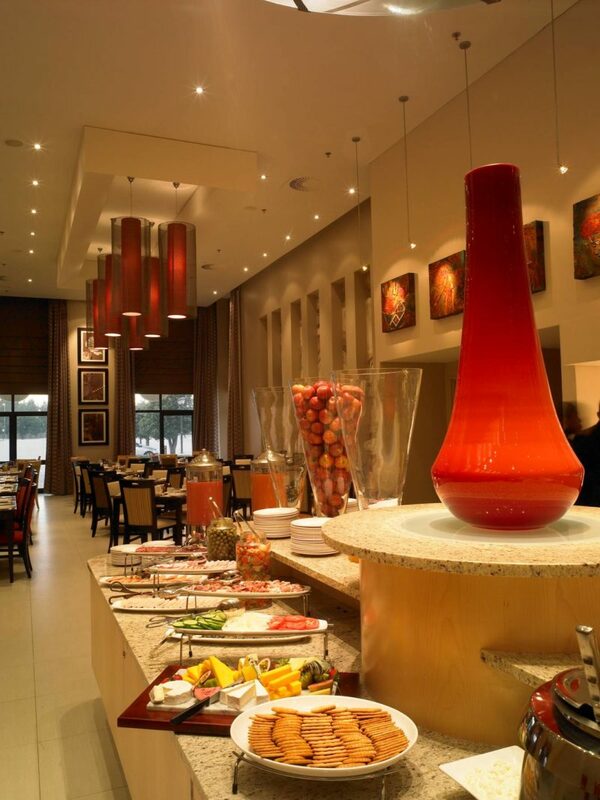 Guests can unwind at the pool, relax in the lounge or dine at the nearby News Café restaurant. 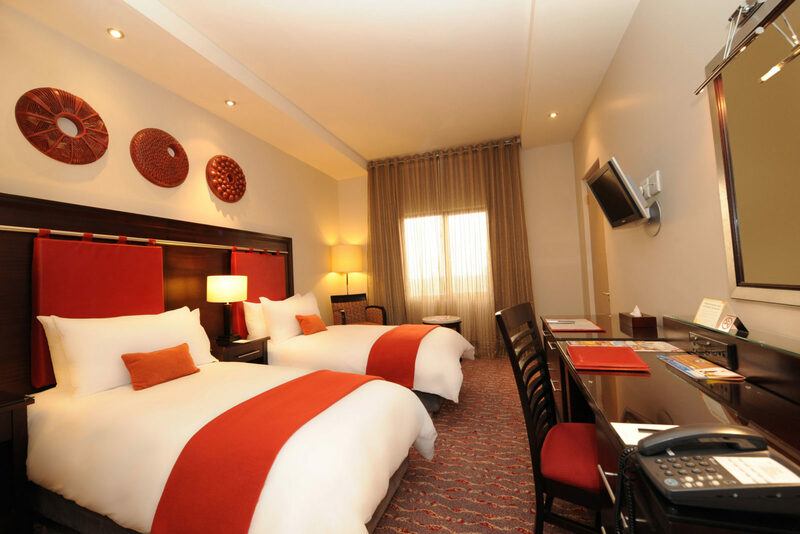 The hotel features 67 rooms with 34 Studios, 27 One-bedroom suites, 5 Two-bedroom suites and 1 Special assistance room. 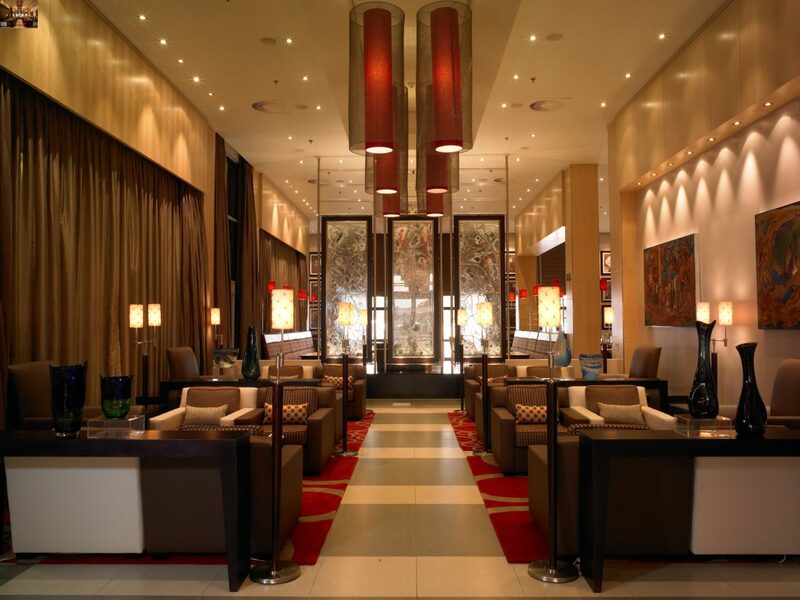 Smoking and no-smoking rooms available. 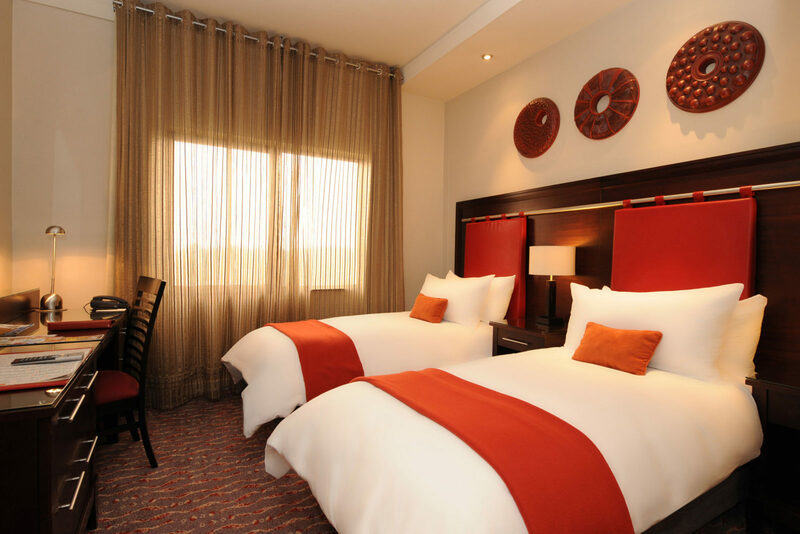 34 Studios, 27 One-bedroom suites, 5 Two-bedroom suites and 1 Special assistance room. Swimming pool.